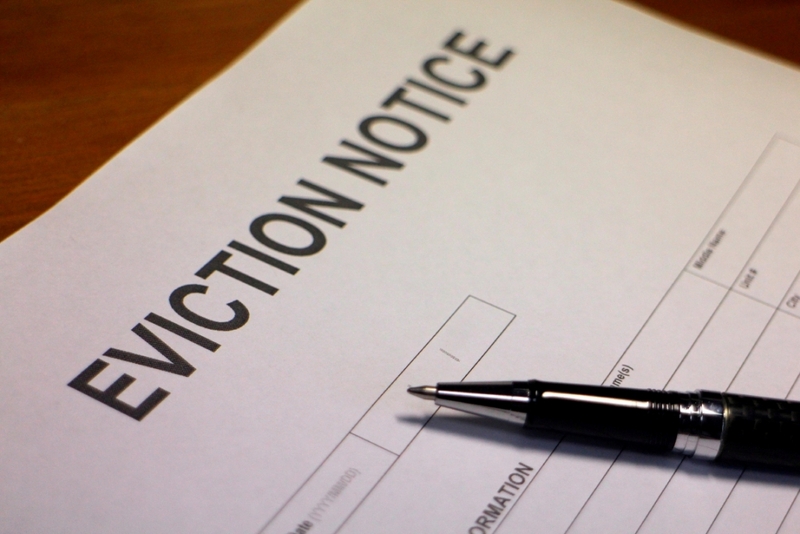 Receiving an eviction notice can be an overwhelming moment. There’s the emotional response of losing your home paired with the practical worry of your financial future. Whether you’re saddled with medical bills or just lost your job, being evicted is usually the capstone to other major life events already taking place. If you’re in this situation or are close to it, there are several things you should know to avoid exponential consequences throughout your life. Here’s a breakdown of how an eviction can affect your credit scores so that you can be informed throughout the process and hopefully minimize the negative effects. Remember, it’s always best to avoid getting evicted if at all possible, so you don’t ruin your credit — and other abilities — for years to come. Under what circumstances can you be evicted? Eviction laws vary by state, but generally, there are four different types, which influence how the process is handled and, ideally, avoided. When you fail to pay your rent, your landlord can issue a notice to “pay rent or quit.” At that time, you usually have three days to either leave the property or make, at a minimum, a partial payment. If you do pay, the eviction notice is nullified. If, however, you don’t pay anything and remain on the property, then the landlord can file an eviction lawsuit to have you removed and to be compensated for rent you owe plus court fees. The next type of eviction is when you break the terms of your lease. An example of this is keeping a pet on the property or subletting your unit if you’re not allowed in your lease. Once you receive notice, you have ten days to fix the problem, otherwise, you’ll be asked to leave at that time. Want to Remove an Eviction from Your Credit Report? Creating “waste or nuisance” is also cause for eviction and includes things like being extremely messy or not keeping up with the property in an appropriate manner. Oddly enough, you can also be hit with this clause even if you made an improvement to the property, but it was not approved or allowed for in the rental agreement. You’ll be given a three-day warning in this situation and are required to leave with no chance to change your habits. Finally, in some jurisdictions, your landlord can kick you out without any specific cause, as long as it’s not discriminatory and your lease is month-to-month. The landlord is required to give you at least a 20-day notice, at which time you must leave the property. Each of these laws varies depending on where you live, so it’s important to do your research to make sure your landlord is following the proper procedures in asking you to leave. Always understand your rights to make sure no one is taking advantage of you. What is an eviction in legal terms? While the situations above describe reasons for a tenant’s removal from the property, an eviction from a technical standpoint entails the landlord suing a renter for refusal to leave. A few places allow landlords to employ “self-help” eviction tactics, like changing the locks on the property, but this is illegal in most places. If your landlord does this to you, make sure you check to see if this is legal, otherwise, it’s time to contact the authorities. Instead of locking you out, the landlord must usually go through the court system to file a lawsuit against you and obtain a writ of possession. A law enforcement officer then posts the eviction notice on the property, giving a specific deadline of when it must be vacated. If the tenant is still there on the posted date, the law enforcement officer will physically remove the tenant and his or her belongings. What happens when you’ve been served with a court summons? The specific requirements may vary by state, but what typically happens is that you’ll receive a summons and complaint delivered by a law enforcement official, such as someone from your local Sheriff’s office. This notice not only tells you when and where to arrive for your court hearing but also what the landlord is suing you for. It could be for you to simply leave the property, or the landlord might also be seeking past due rent payments. It’s important to go to the court hearing if you want to defend yourself against your landlord. If you don’t go, the landlord usually wins by a default judgment. You’ll be held liable for the consequences laid out in the summons: eviction and potentially back rent plus court fees for all parties involved. In some states, you might be able to prevent the eviction entirely if you can pay the owed rent and court fees at the hearing itself. Does an eviction show up on your credit report? The eviction may appear on your credit report in one of two ways. The first situation is if you failed to pay rent and your landlord sends the delinquency to a collection agency. While there’s not a set timeframe for when this information appears on your credit report, the item is treated like any other delinquent debt on your credit report. That means it will remain there for seven years from the date of delinquency, even if you eventually pay it off. The other way the results of your eviction could appear on your credit report is through the public record section. This happens if the eviction lawsuit results in a civil judgment and you owe unpaid rent and/or court fees. The amount appears on your credit report as a debt owed through a civil judgment and remains there for seven years from the original filing date. How does an eviction impact your future housing prospects? Unfortunately, an eviction will almost undoubtedly have a negative impact on your ability to secure housing in the future. Many landlords perform credit checks on prospective tenants, so if your credit report contains debts owed through collection agencies or civil judgments, that will raise a big red flag on your application. Even if a landlord can’t tell that the collection debt is rent-related, they’ll still question your ability or propensity to pay the rent on time each month. You’ll also have trouble getting approved for a mortgage, credit card, or personal loan during those seven years because your credit score will take a huge hit. So not only is it difficult to find housing with these marks on your credit report, they will also limit your future access to credit. Even if the landlord doesn’t check your credit report, or you were evicted but didn’t owe any money, many landlords use a tenant screening company when considering rental applications. While the exact service varies depending on what company they use, the landlord can find out information like your eviction and rental history, the length of residence, and criminal record. Remember that potential employers can perform similar searches as well, so an eviction could very easily affect your job prospects as well. This just goes to show that an eviction impacts so much more than just your living situation, so it really should be avoided if you can help it. Because eviction laws differ from state to state, it’s best to research the relevant laws where you live. If you’re not sure where to start or think your landlord is handling the eviction process improperly, look up your local Legal Aid chapter. If you qualify under your chapter’s low-income guidelines, you can receive free legal assistance. They’re likely to have specific expertise with eviction defense. You can also try negotiating directly with your landlord. If you just need a bit more time to come up with your rent money, consider telling him or her about your financial situation. Most landlords want to avoid lengthy and potentially expensive court proceedings. If you’ve been a good tenant but are in a rough spot with your money, it can’t hurt to try being open and try to work out an agreement. The bottom line is that being evicted from your rental property is going to have long-term negative results in many different areas of your life. Your ability to borrow money, find another living situation and even get a new job could all be compromised because of this one life event. Your best bet is to avoid eviction at all costs. Otherwise, your credit and mobility in life could suffer greatly. If you’re unsure about the accuracy of the items on your credit report, contact Lexington Law. As one of the most trusted credit repair agencies in the country, they will work diligently to communicate with your creditors to ensure your credit report is completely up to date, so you can get the highest credit score possible.